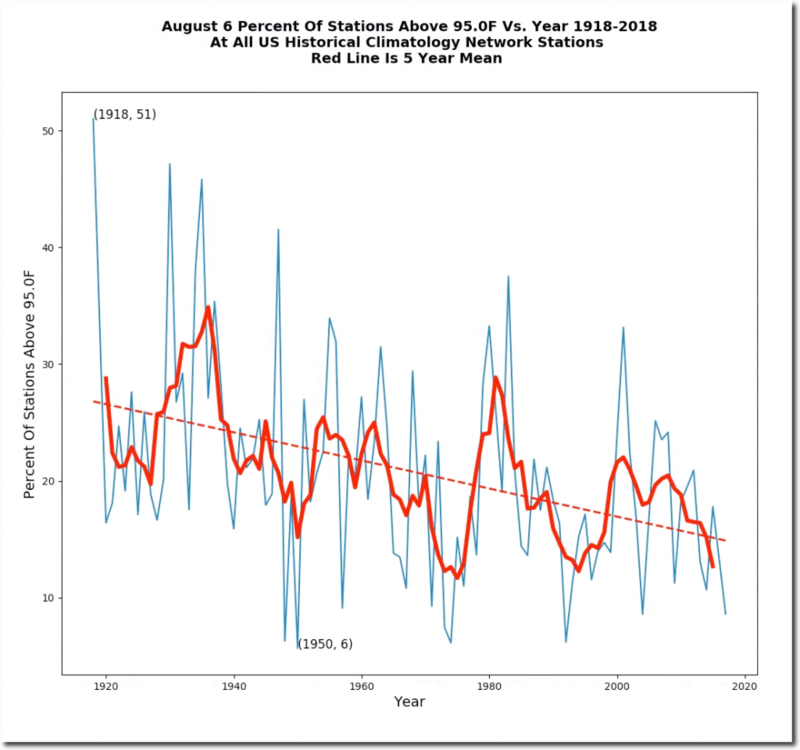 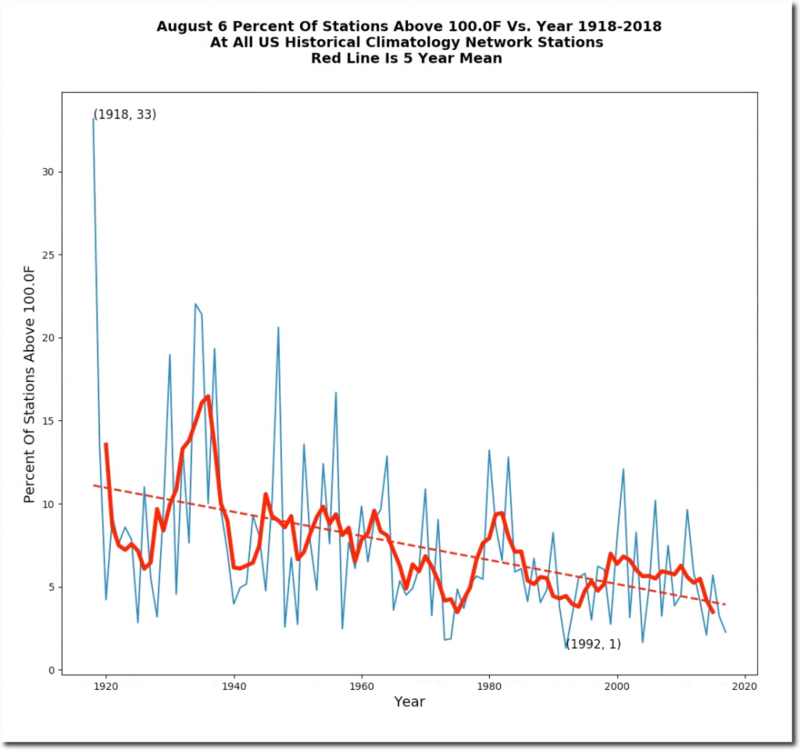 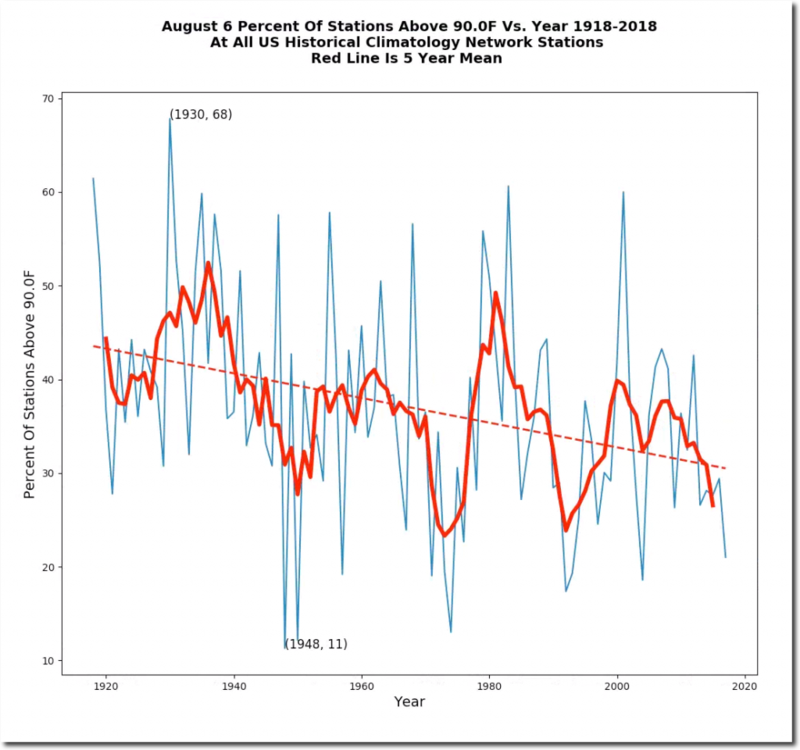 August 6th afternoon temperatures have plummeted in the US over the past century. 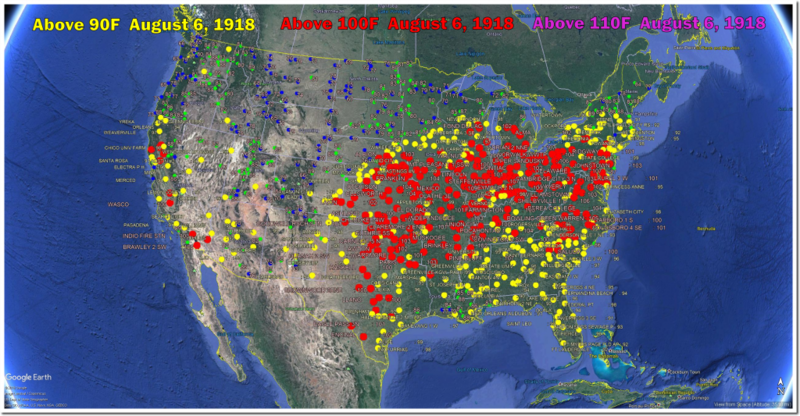 August 6th, 1918 tied for the hottest day on record in Maryland at 109 degrees. One third of the US was over 100 degrees that day, and more than one half of the US was over 95 degrees. 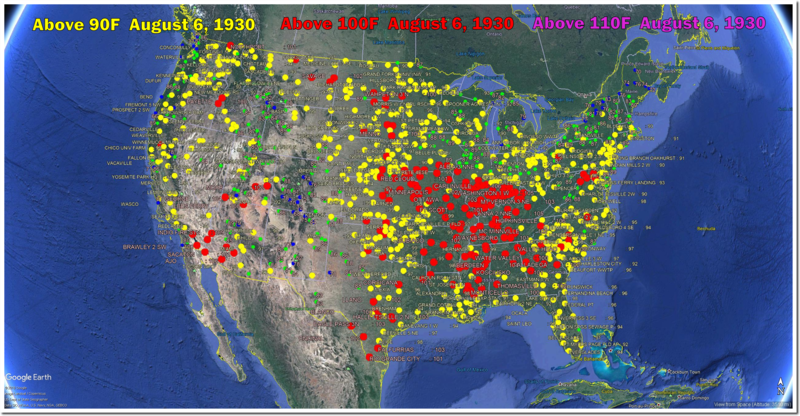 On August 6th, 1930 more than two-thirds of the US was over 90 degrees. 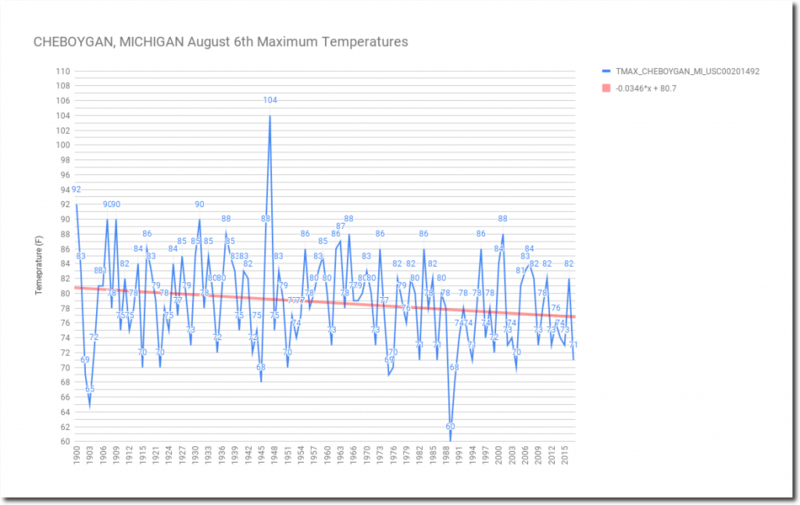 The average afternoon temperature that day was 93 degrees. 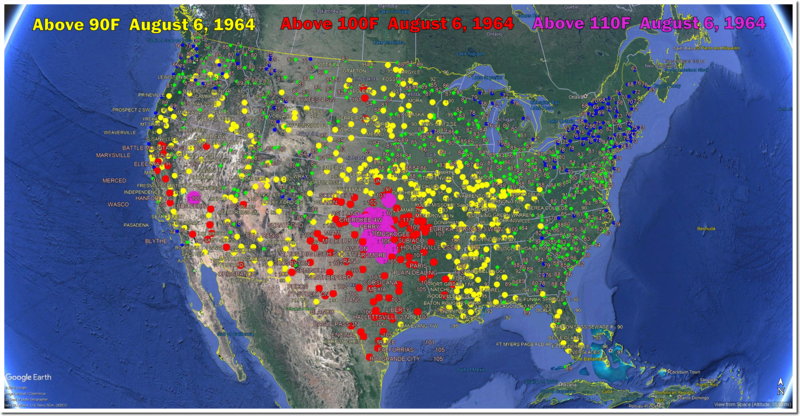 Prior to 50 years ago, there were many spectacular heatwaves on August 6th. 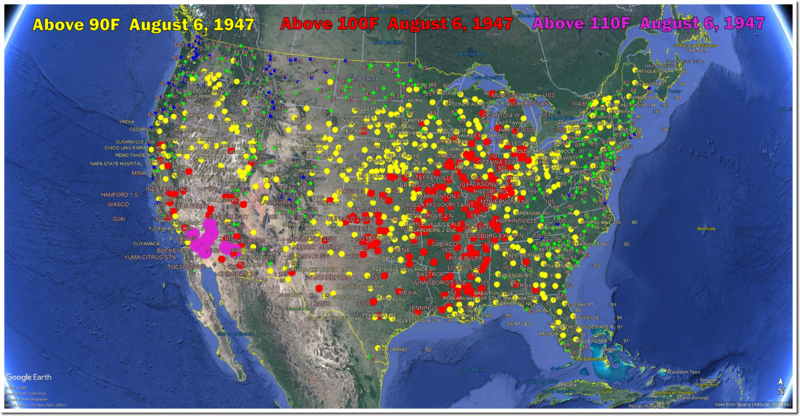 On August 6th, 1947 there were temperatures well over 100 degrees reported in the Upper Peninsula of Michigan. August 6th afternoon temperatures have dropped four degrees since 1900 at Cheboygan, Michigan. 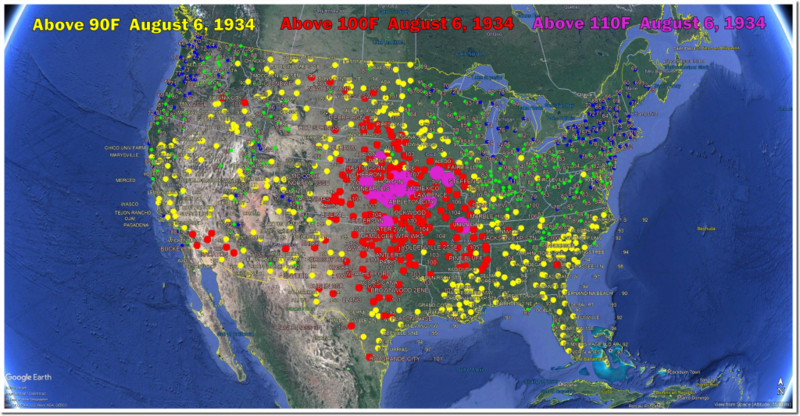 On this date in 1947 it was 104 degrees there. 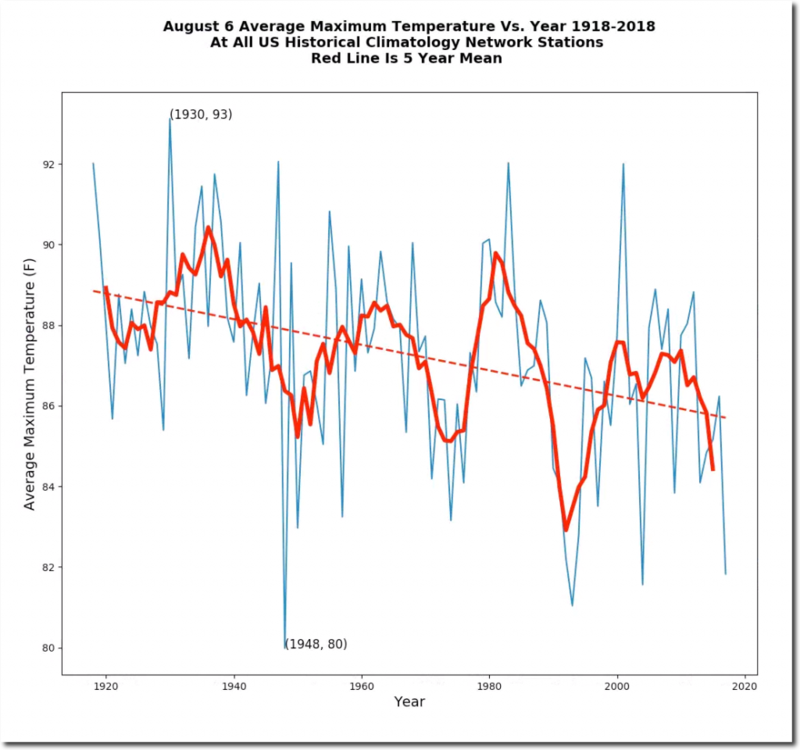 Today’s forecast is 26 degrees cooler.